The eclipse, which has been called a "super wolf blood moon", has only happened three times in the past two centuries. A type of lunar eclipse only seen three times in the past two centuries was easy to spot in B.C. 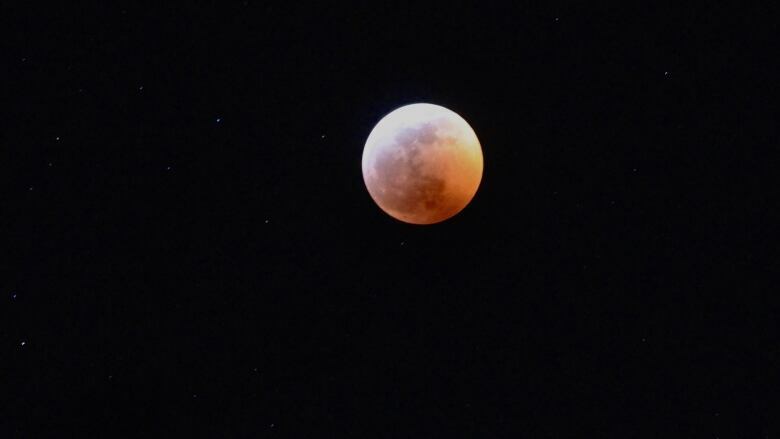 Sunday night as the moon beamed a vibrant red for about three hours starting at 7:30 p.m. PT. 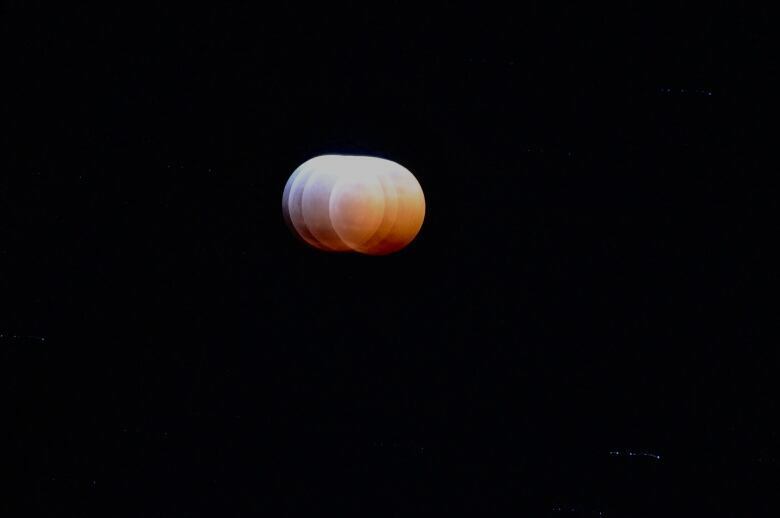 The event was called a "super blood wolf moon" and astronomers like Kat Kelly, who works at Vancouver's HR MacMillan Space Centre, were excited about the occurence. "This one is quite special," Kelly said. The name "super blood wolf moon" refers to three factors that occured all at once, making this eclipse special. The "super" part of the eclipse is named this because the moon is closest to earth in its orbit. The "blood" reference is because, as the sun, Earth and moon line up, only the red light from the sun's white light — which has every colour of the rainbow — is able to get through the Earth's atmosphere to the moon. The "wolf" part of the phrase comes from historical and cultural references to hearing wolves howling from hunger in January, according to Kelly. "So to have a super moon that is an eclipse in January makes it a super, wolf, blood moon and so to have all three of those together is actually quite rare," she said. The space centre hosted a viewing party, as did Simon Fraser University's Trottier Observatory. Still, Kelly said the celestial event was easy to see from just about anywhere as there were mostly clear skies during the event. The moon appeared at its reddest at about 9:12 p.m., while the event lasted until about 10:40 p.m.
Kelly said the event helps her think about how humans inhabit a huge planet that is moving around in space. "There's very few times that we can actually be reminded of that and feel the effects of that," she said.